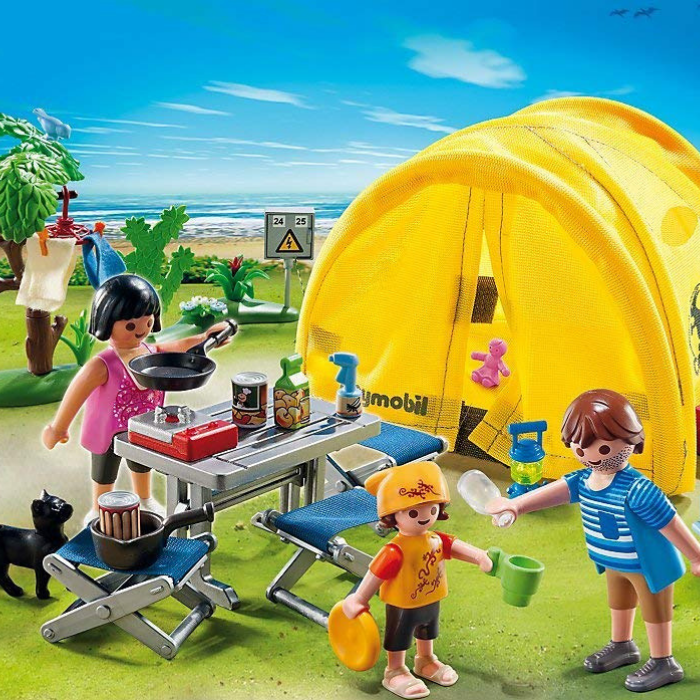 PLAYMOBIL Camping Trip Just $9.95! Down From $18! PLUS FREE Shipping! You are here: Home / Great Deals / Amazon Deals / PLAYMOBIL Camping Trip Just $9.95! Down From $18! PLUS FREE Shipping! Amazon has this Playmobil Family Camping Trip for just $9.95 down from $17.99 PLUS FREE shipping! Have some fun in the sun on the Family Camping Trip! The foldable pop-up tent can accommodate a family of four, while the folding table and chairs make it easy to enjoy an outdoor meal. Heat up some food in the pots and pans on the hot plate or sip on a refreshing beverage from the cooler. Set also includes three figures, cat, clothes hanger with clothes pins, towels, cans of food, cups and plates, lantern, and other accessories.